Jenna in White offers one of a kind, uniquely hand-crafted designs, with over 25 years of experience Jenna in White can create the dress of your dreams. Delicately detailed creations that you won’t find in any Wedding Dress store in the United States. Need alterations? Want a wedding dress? Looking for a custom clothing designer? Look no further! 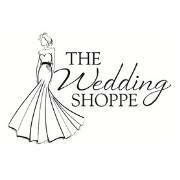 Located in Berkley, MI, we have over 18 years of experience to help creating the gown of your dreams.